From Inspection Mirrors to Overbed Tables, Sportaid is the place to find all the comfortable and convenient Daily Living Aids for Independent Living you could want or need. We offer a wide range of living aids that allow you to unlimit your daily living activities and live independently. We carry all the top brands including Invacare, Quickie, Good Grips, EZ-Access, ADI, Rose, and many more. 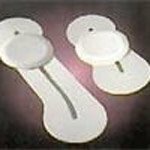 Our massive collection of Aids for Independent Living from international manufacturers includes Handicapped Mirrors & Scrub Sponges, Wheelchair Transfer Boards, Wheelchair Drink & Cup Holders, Disability Grip Aids, Knob & Key Turners, and much more. Select from these top manufacturers and save big with Sportaid.com's everyday low prices. Browse through our huge selection of Daily Living Aids or feel free to call 1-800-743-7203 for help choosing the right option today. You'll be glad you did! Sportaid customers report savings as high as 55% on Daily Living Aids for Independent Living compared to the competition! 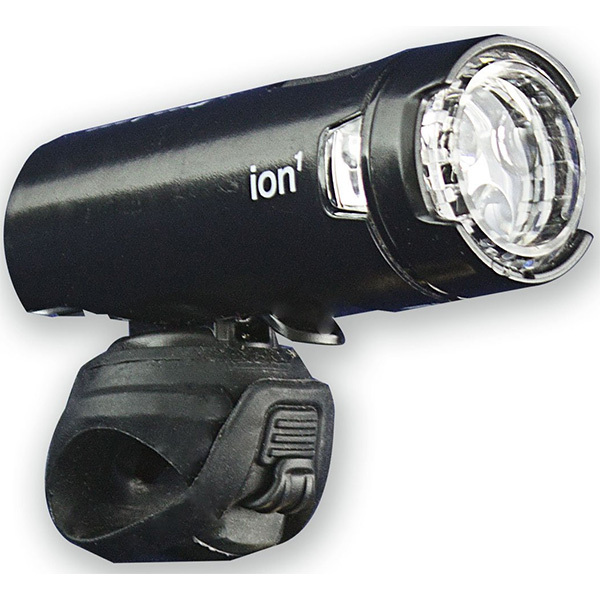 Find the Right Daily Living Aids for Independent Living for you! 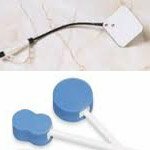 Handicapped Mirrors & Scrub Sponges: - Good Grips shower accessories like the Hand-Held Inspection Mirror and the Scrub Sponge offer tremendous help and comfort. These accessories are available in various sizes and let you clean your back, toes, and any other hard-to-reach spots conveniently. Disability Reachers: - EZ-Access high quality disability equipment comes in extremely handy for people who are confined to a wheelchair or who face difficulty in bending. Whether you want a Pull Door Closer or a Sock Aid, Sportaid offers each and everything to make your life comfortable. Wheelchair Transfer Boards: - Sportaid brings you a variety of Transfer Boards for those who struggle with impaired balance and upper body strength. You can choose from our extensive selection of Boards with No Hand Holes / with Hand Holes / with Two Hand Holes and Transfer Glyders for safe transfers. 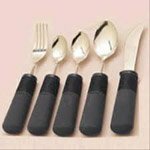 Disability Eating Utensils: - Sportaid’s huge collection of Eating Utensils from Drive-Medical and Good Grips ensures complete comfort and ease during meal times on a daily basis. 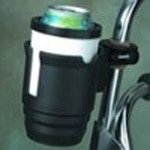 Wheelchair Drink & Cup Holders: - These devices are ideal for use with wheelchairs or walkers and make your daily living more comfortable. Attach any of your holders to your wheelchair or walker and enjoy your days stress-free. 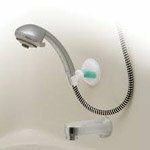 These Shower Grab Bars, hand held shower heads, and other bathroom aids let you bathe comfortably and safely with better grip. Check out the various designs, shapes, and types at Sportaid.com. 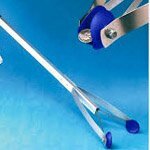 Disability Grip Aids: - Sportaid offers a comprehensive selection of Grip Aids to improve the quality of your daily life. 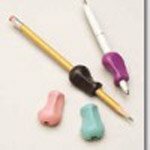 Enjoy your freedom with these grip aids and do your routine tasks independently. 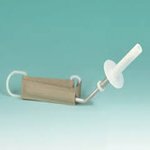 Disability Knob & Key Turners: - Sportaid offers daily living aids ideal for people with arthritis or weak hands. 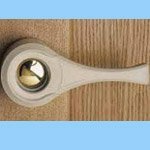 Choose from a variety of Knob and Key Turners at Sportaid.com to achieve easy and comfortable daily access to the rooms of your house. Disability Nail Clippers & Zipper Pullers: - Sportaid’s easy to use Nail Clipper & Zipper Pullers feature flexible ribbing that adapts to any grip. 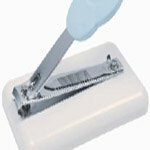 The Nail Clipper Board makes for an ideal daily living aid for people with arthritis or limited pinching ability. These aids help you in carrying out your day-to-day activities conveniently. Whether you are a new customer or someone who has been with us for a while, we guarantee satisfaction. After over 25 years in the business helping people find the right Daily Living Aids for Independent Living at the lowest prices, we continue to lead the industry! We carry a large selection of wheelchair cushions, wheelchair parts, and wheelchair accessories. We are capable of beating any competitor's advertised price, just call! Our customer service staff has over 50 years of experience, plus over 90 years of combined wheelchair use experience. We look forward to working with you!